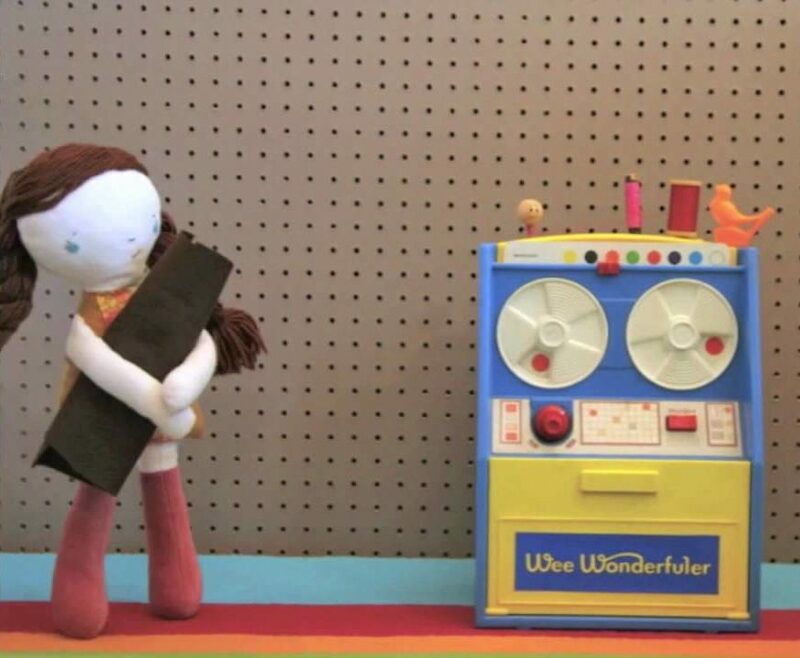 There is a “wonderful” new book out about toy making called Wee Wonderfuls: 24 Dolls to Sew and Love by Hillary Lang, and illustrated by Jen Gotch, published by Melanie Falick Books. Hillary professes a life long love of dolls and toys, includng Holly Hobbie, one of my favorites! Wee Wonderfuls: 24 Dolls to Sew and Love is a beautiful, large format, hard bound book which would be a real keepsake for any family. Hillary Lang has a delightful assortment of twenty four projects in the book which also includes patterns and instructions for each. Some of the precious playthings include: a darling Tag-Along doll who fits in a child’s apron and goes everywhere with them. There’s Melvin and Marian, the stuffed bear librarians who guard books for their occupation. Hansel and Gretel are just perfect made from wooden spoons! And there’s Betsy, a pillow paper doll, with her own assortment of clothes that fits in a special pocket. Pixie is a must-see, an ethereal puff ball doll, with little angel wings. There’s many more special friends to make and share. I love how she uses so many different methods and mediums to make all of these little sweeties!